With the Rios Olympics this week, we have been studying this at school and all the teachers and students have been placed in a country for our fun games event. I was very pleased to be Sweden as my great-grandfather came from there and I have been there several time and met my cousins. 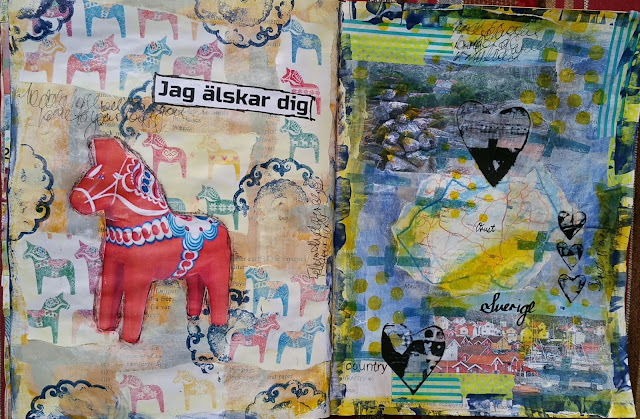 These pages started as left over paint, but as I looked at them and saw the the gold and blue I though of Sweden, so used more left over paint to add loose Scandinavian crosses. A lot of this has been pushed to the background with gesso. 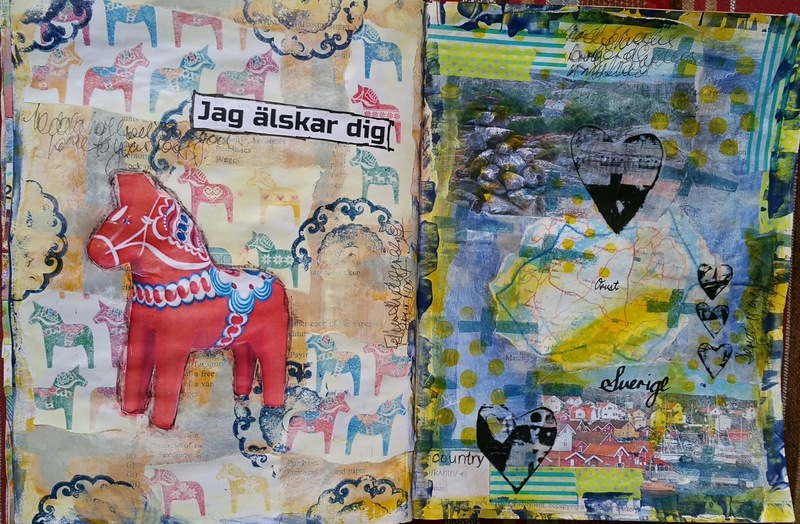 I then hunted out images of Dala horses, which I love, and Orust, where my family came from.